Google Earth has always been one of the most ambitious projects in the company’s repertoire, attempting to provide an exhaustive tour of the entire planet, from the depths of the Pacific Ocean to the heights of Mt. Everest. And now to celebrate Earth Day, Google is looking to take it to the next level. According to an invitation sent to Engadget and other media outlets, the search giant is planning to unveil a “brand new experience” for Google Earth on April 18 at the Whitney Museum of Art in New York City, ahead of Earth Day on April 22. While there aren’t too many details, the announcement says Google will be unveiling “the new Google Earth,” which will is almost certain to bring the HTC Vive-exclusive Google Earth VR app to Daydream. Launched last November, Google Earth VR lets you “fly over a city, stand at the top of the highest peaks, and even soar into space,” all without leaving your house. Available in the Steam store, Google promised that the experience, which “comes with cinematic tours and hand-picked destinations that send you to the Amazon River, the Manhattan skyline, the Grand Canyon, the Swiss Alps, and more,” would be coming to “other platforms” this year. A new frontier: If you’ve ever used Google Earth on the HTC Vive, you know how awesome it can be, so we’d love to see the same experience replicated on our Daydream and Gear VR headsets. 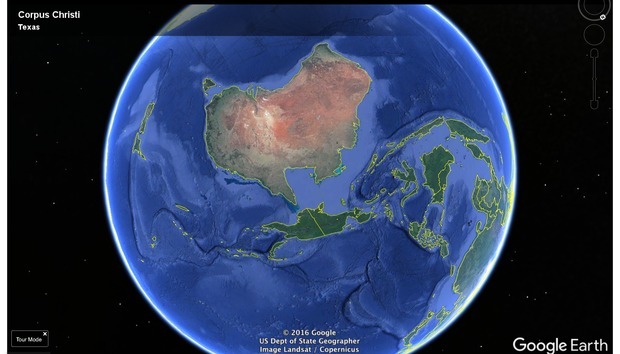 Google Earth is one of those rare tools that combines education and entertainment into an engaging package, and a Daydream VR version could be a fantastic aid for learning about other lands and cultures without breaking schools’ budgets.